I was psyched to pick up a few new sets last night and stayed up until the wee hours of the morning widening a couple of them. Well, this is quite an improvement! I also wonder what the hell is wrong with TLG and their centered drivers, poor proportions notwithstanding. Your cars are the way they should have been. Thank you sir! I guess Lego long ago decided that City/Town scale cars would be that narrow. I don't get it, but it's so fun to mod them, I'm not complaining. 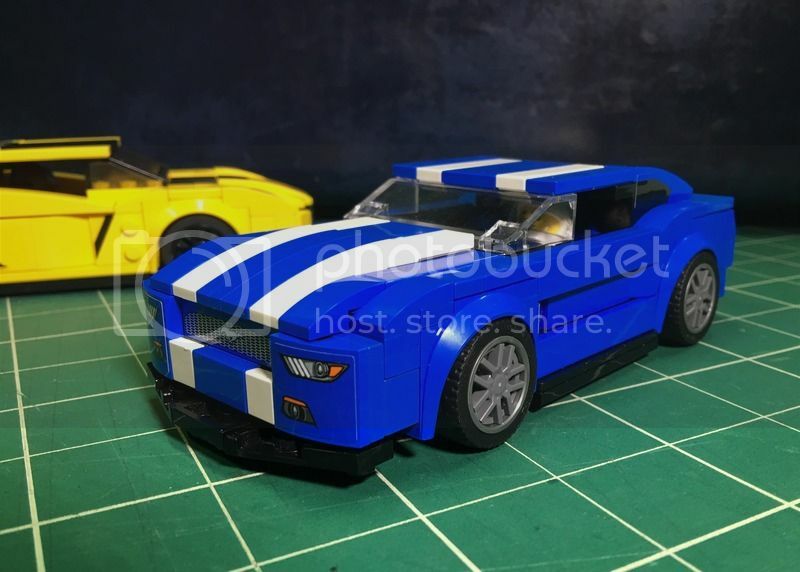 They didnt decide for SC, they measured them as close as they could be to the original and then tried getting the fig inside -> Their scale for car ranges usually between 1/36 to 1/42 -> If we take 1/42 for example , then the adult minifig would be 175 cm high in real life (since fig is 4,16cm). According to wikipedia, thats the average human height and considerably the best scale in terms of height -> It then means that a 6 stud wide car is 2,10 cm wide, which is around the witdh of european supercars. 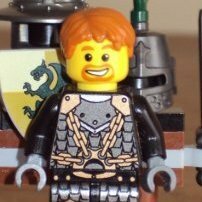 They center the figs, because 2 figs next to each other are too complicated for a stable, playfriendly model. Apart from that, i really like what you did here! For the diameter of these wheels, 8 wide is the perfect fit and they look amazingly "aggresive" and low now - just like the real thing Definately improved in a good way using these mudguards! These look really great indeed, proportions are much better. At this size it might be difficult to combine them with other Town scale vehicles, though. But for presentation purposes this is a much better solution, I guess. 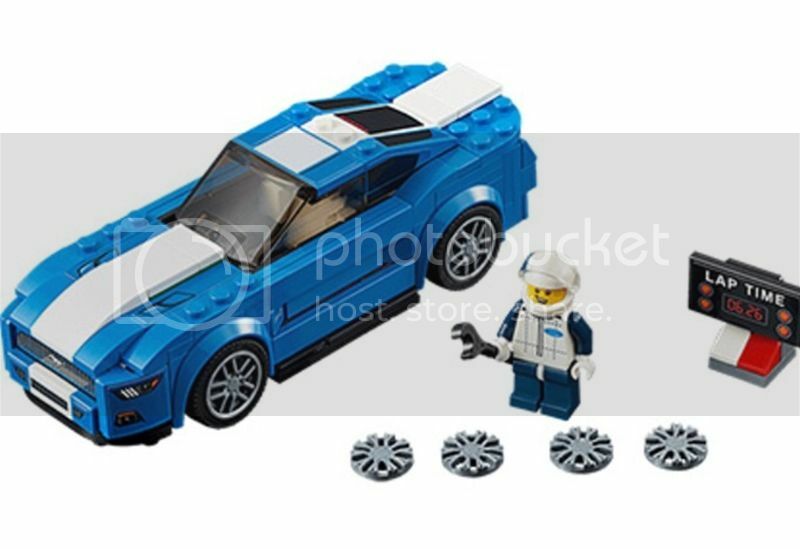 In fact I don't understand why they are using those large wheels on the Speed Champions cars. 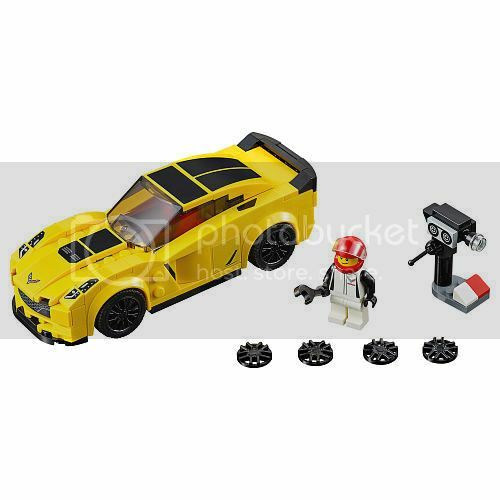 By using Town car wheels the cars would be considerably lower yet could fit a fig anyway. Plus 6w would be a matching width then. Some nice thoughts on scale, thanks for that! 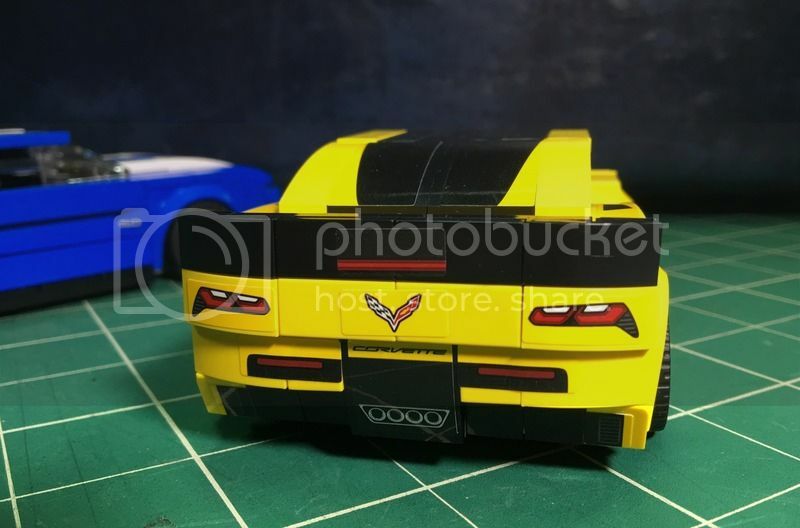 This thread now with 100% more Camaro! I haven't finished modding the '69 yet, but here's the newer one. This one I think benefitted most from the mods. I think the stock version is pretty terrible, but man, it sure turned out nice now that it's wider and some of the details have been tweaked. I used some of the extra sticker sheet that had black printed on it and widened the grill sticker. That helped a lot, I think. 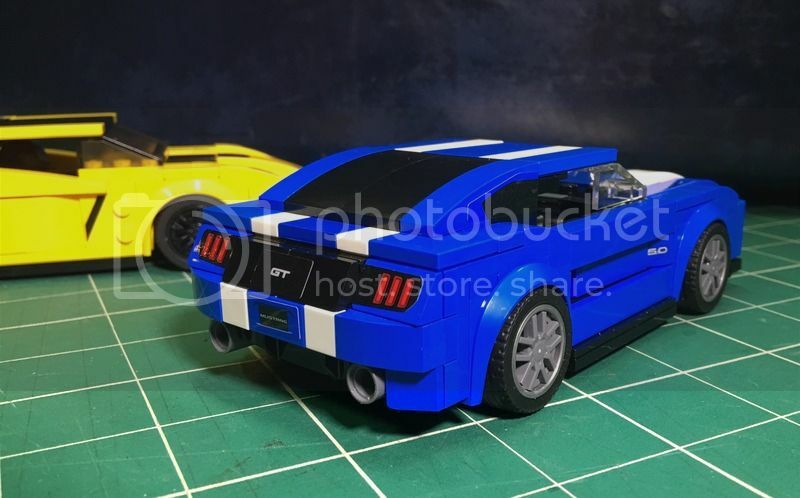 Awesome modifications to 8 wide and looks even more realistic. 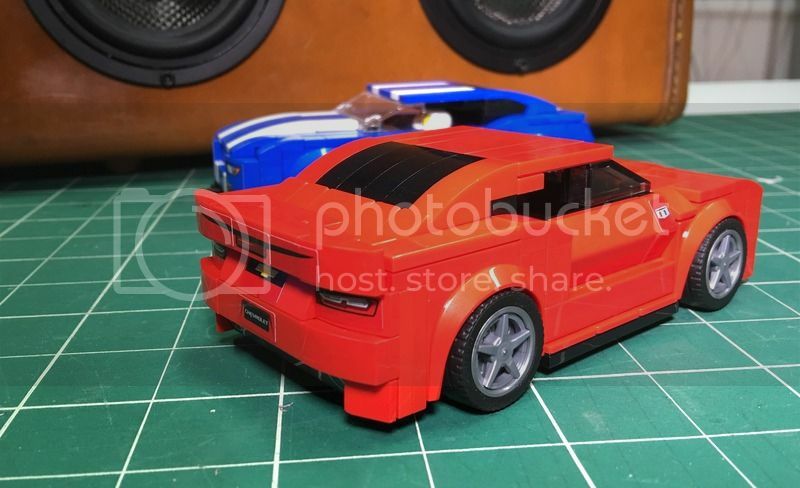 Wow, the red Camaro looks a lot better at 8-wide. Of course, as Erol notes the other option is to stay 6-wide and go lower and shorter to match City-scale. Clever work extending the grill sticker, though I still prefer to see things brick built wherever possible. Will you be doing the Porsche and Audi LMP cars from this wave too? Thank you sir! Brick on I shall. 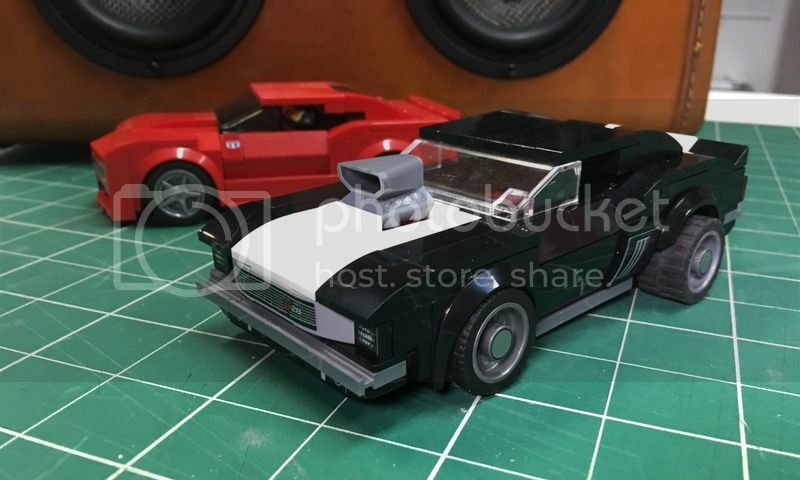 I prefer brick built too, but I didn't see a way to do this one without having a Chevy Bowtie in the grill. I don't know that I'll do the race cars, as my passion is really for the street cars, but these are so fun to do, I just might. Dang, that's a great idea. I wish I had documented that. 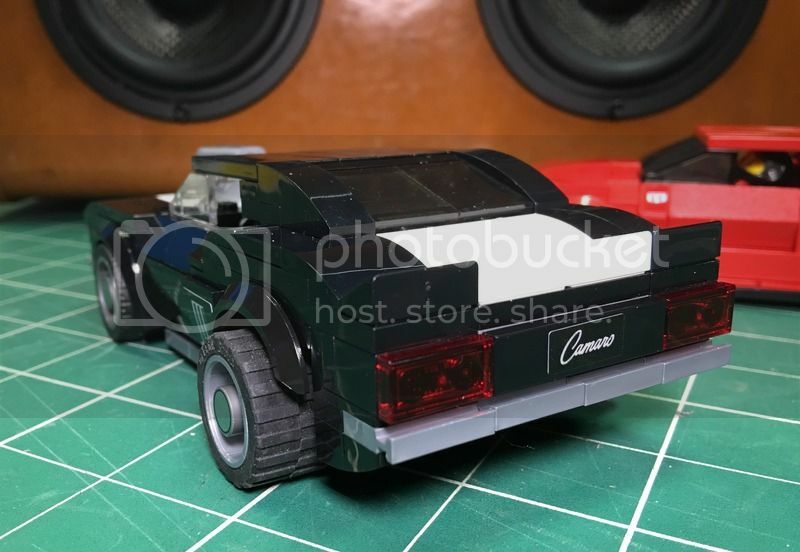 Essentially what I've been doing is starting with 6 wide or 8 wide plate (whichever works for that model) and attaching wheel arches and building front and rear bumpers and then connecting everything in the middle. Y'all stay tuned. I've got a 69 Camaro to take pictures of. Looks like this thread needs a new name with the Camaros added. Edit: it's kind of hard to tell in the photos, but the back window is using two dark trans window panels that are just nestled in there. I didn't want to go opaque black like the red one since it's a black car. I don't have pics, but I can say that the Vette was easier than most to widen. I believe it was simply some additional 1x4 slopes and some tiles. Good luck on yours and post pics when you're done. 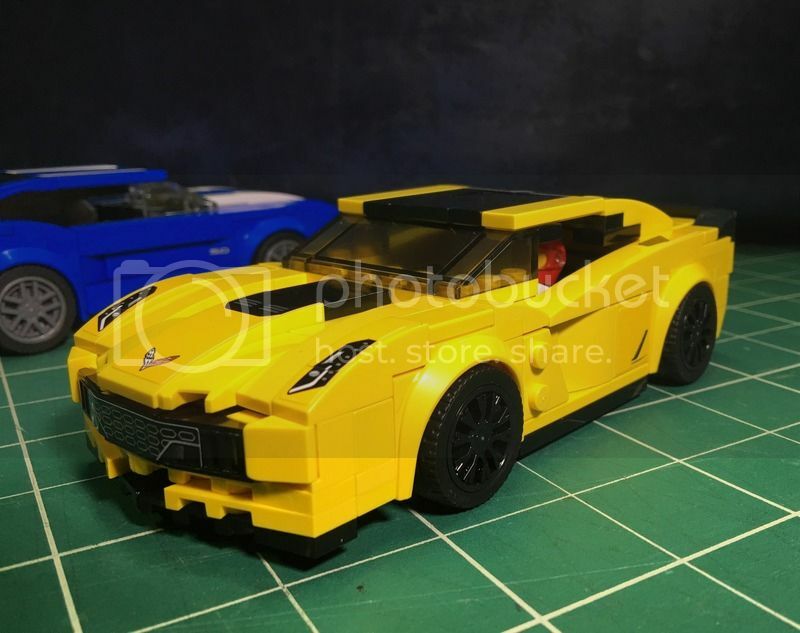 IMO, i think that only the corvette looks good in 8-wide, but that's just me. Beauty is in the eye of the beholder and all that, but I think the Camaro in particular benefits from the widening. The stock 6w is kind of ridiculous looking in my opinion. Great mods! 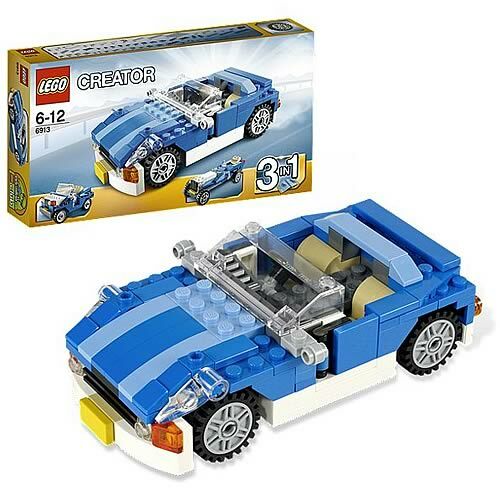 My favorite is the way you made the Mustang look. 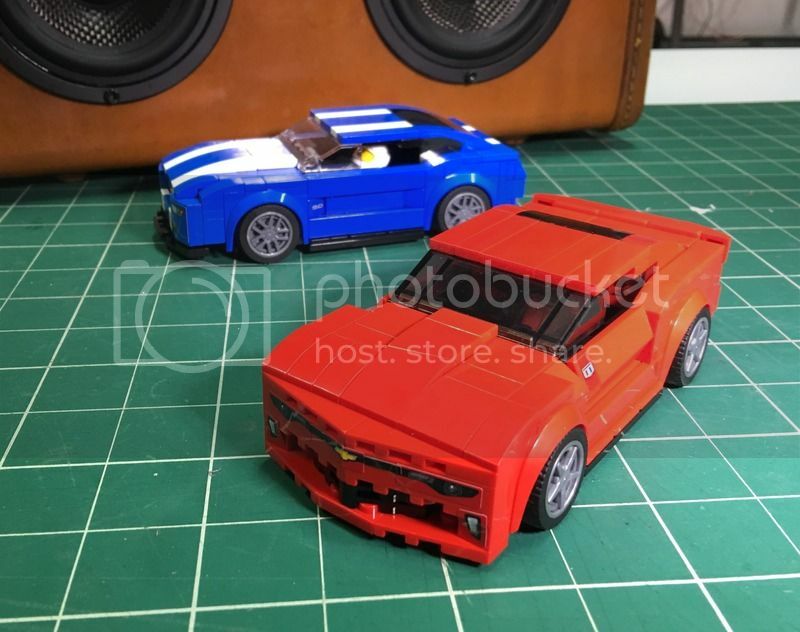 I still feel that the Camero is impossible to recreate on a 4, 6, or even 8-stud scale. You did an amazing job on these cars though!